(Part of the “Kids Growing Up Psychic” Series). Melissa’s Note: I am so happy to introduce to you my dear friend and fellow metaphysician, Shaheen Miro. He has agreed to be Guest Writer for my Blog and we, together, are presenting a Series of monthly articles called “Kids Growing Up Psychic”. Enjoy this very first, fascinating article! Did you know that you came here as a spiritual being in a physical body? You are a beautiful, vibrant and divine spirit that is here to experience all sorts of wonderful, and sometimes crazy things. This world is meant to bring you closer to your core, your own unique vibration and allow you to learn and grow. When we first come into this world, as little precious and pure babies, we are very connected to the spiritual truth that lies within each of us. This connection begins to wither over time, and sadly, for some people it dies. This can create a disconnect among adults and children… because they still see all the beautiful worlds around them through their spiritual eyes. On this journey into the physical we are given a special navigation system. This intrinsic system is meant to guide us through life with ease, allowing us to gain the most experience and joy we can without being knocked off course too much. This is our intuition. When you allow your intuition to fully develop and bloom, you will experience things through your psychic senses. These are the fine-tuned spiritual senses (much like our 5 physical senses) that allow you to perceive and interact with different vibrations and subtle realms. A lot of parents find it very difficult to relate to their children’s psychic experiences because as an adult you may not be very in tune with the spiritual world. This isn’t a criticism, just a simple truth. The great “psychic forgetting” is a byproduct of our society’s relentless pursuit to disconnect us from our psychic centers. So when your child begins to talk about invisible friends, prophetic dreams, or seems to know things that they shouldn’t, you may be caught off guard, and you may instantly want to dismiss everything they are saying as “imagination”, or worse, a lie! Don’t fall down the path of criticizing your psychic child; don’t continue the cycle because it is time for us to embrace our spiritual self. You at one time, and maybe even now, were very aware of the spiritual world that is unfolding all around. If that would’ve been nurtured in you… your psychic senses could have been an invaluable toolkit helping you navigate through life! Side note: even if you feel closed off to your psychic self… you can awaken your psychic senses, and begin to grow, strengthen, and trust them! It is never too late. It all starts with paying attention and listening. As you work with your child, you will begin to grow yourself. We all feel the chaotic energy in the world right now. A lot of fatalistic points of view are floating around out there. And it is true, some people have gone a little crazy, and there is some very dark energy. But the Universe/Divine always knows more than what we can see… and part of that plan is bringing in more and more “awake” children. Children are coming in awake and aware of the psychic world, and their spiritual gifts. They are relentless in keeping their connection to that world, and rather than allowing society to condition them to forget, many are fighting back. They are the paradigm shift! There are many different names, and classifications: Indigo, crystal, rainbow… the truth is that everyone is born a psychic child, and if we nurture this in our children, they will grow into even more amazing, vibrant and empowered adults! So let’s talk about the psychic centers, and ways to understand your child’s psychic experiences. Does your child ever play with an invisible friend? Or talk to people who aren’t there? Or seem to follow around something you can’t see? Or favor a particular room, corner, or area? Or maybe even reports seeing lights, or sparkles? Or does your child talk about people, places, or periods of time that they should have no real knowledge of? Past, present or future? Maybe your child makes matter-of-fact announcements about things that make no sense to you, and later they turn out to be facts. Or does your child dream of things, or people that are eerily accurate descriptions? Those are also psychic experiences. Some of these things may leave you baffled, confused, and a little afraid. You may try to rationalize it, or discredit it. Take a different approach, try to accept and nurture it. Your disregard for your child’s experience will leave them feeling judged, and feeling vulnerable. Just as much as you might not believe in it, they do! Your child will experience spiritual phenomena through 7 psychic centers. These are called the “Clair Senses”, Clair being the French world for clear. These senses mirror our physical senses, but they pick up more subtle information. The psychic centers work with energetic frequencies. Psychic/spiritual information is constantly moving and pulsating through the atmosphere. This information vibrates as different frequencies, like a radio wave. These vibrations are much higher, and faster than anything we experience in the physical, so the psychic senses pick up on them. Because a child is still very aware and connected to the spiritual world, they are easily in tune with these frequencies, and they have no problem connecting to them. Very much like animals. It is instinctual and intrinsic. They are essentially walking between worlds, completely open and receptive to the things that are happening around them. Most children have psychic experiences that are seamless with their perception of the world. There is nothing out of the ordinary to them, and often their Clair senses will overlap with their physical senses. They perceive these frequencies of information through one, or more of the Clair senses. There are six senses, but the first three of them are the most common that children experience. Clairvoyance (clear sight) is the ability to psychically see things. Sometimes this term will be used incorrectly to describe any psychic sense. A child will often see an entity, whether it is a ghost, spirit, fairy, angel, or anything else in the spectrum of spiritual entities in the Astral world. Clairvoyance isn’t limited to entities, when I was a child I often saw buildings as they were in the past, and other places in time. There was an old field near where I grew up, and when we use to drive past I would see horses, wagons and people who had been hurt and bleeding. My mom believed I was seeing some kind of imprint from a past battle. I would also go into buildings and see the original interior. For a child it can be very scary and disorienting when they are telling you they see something, and you don’t acknowledge it. Make sure you listen closely at what they are describing to you. It may hold some importance for you. And you may want to help shield them from certain types of energy, or places. Visions, and premonitions can fall under this category as well. Even now, as a reader, I will see flashes of things when I am sitting with someone. It is usually like a movie moving through my head. Sometimes these experiences can move from my “mind” into the physical. Clairsentience (clear feeling) is the ability to feel things psychically. This is one of the most common psychic senses, and typically remains the most active in people even when they’ve disconnected from their psychic self. Clairsentience works with the solar plexus, which is the area below the breastbone and above the navel. This is our gut. Your child filters energy, and experiences through the solar plexus, and it comes across as a feeling. This is especially true when dealing with people, thoughts, and emotions. Your child may seem very sensitive to certain types of environments, buildings, people and situations. This is the result of them taking on the energy of the environment. It is sometimes called, empathy! As a child I would often get physically ill when I was in an overly populated area, such as a theme park, or other major social setting. I learned to recognize when I was taking on an energy that wasn’t my own at an early age. It also became clear to me that certain things could shield my solar plexus, such as a thick jacket, blanket, or even a special necklace. If your child suddenly changes moods, or becomes uncomfortable for no reasons, they are most likely picking up on energy in an area. This is usually the reason they want you to hold them with their stomach facing you, or why they are crossing their arms, or holding onto their security teddy/blanket for dear life! Claircongnizance (clear knowing) is the ability to have certain knowledge or information without any “logical” way of knowing. This is one of my favorite abilities to see a child display because children are so naturally blunt and unapologetic! They usually just make announcements of things that, at the time, seem very off the wall… and later prove to be true! This sometimes gets kids into trouble because they don’t know the difference between something that has been told to them, and something that has been infused into their mind. So big secrets are sometimes told, or lies exposed because they are in the minds and hearts of the people around them… and they pick up on it! Claircongnizance is typically how a child experiences information about past lives, past events about a person or place, or something happening somewhere else in the world. They just know because they are psychically linking into the stream of knowledge that is floating around the world like a glowing network of webs. Warning: Don’t try to tell your child something that they know to be true is wrong… if you know it isn’t! Because they will be relentless with the truth. If your child exposes something that he, or she shouldn’t know, acknowledge it and move on quickly. Nothing is more funny than arguing the truth with a psychic 5 year old! Psychic knowing gives a deeper understanding of spiritual things about past lives, and other realms of the Astral world. If a child is young enough, or open enough, you can usually get them to talk about the Other Side, or things they experienced in lives before. Just ask them! Clairaudience (clear hearing) is the ability to hear things psychically. Usually this manifests as a conversation with some type of entity, or hearing things psychically imprinted upon a space. You may have had a clairaudient experience of hearing someone calling your name, and no one is there. I have found that clairaudience usually goes along with Clairvoyance. A child sees a guide or entity, and they can speak to it. But children will often hear things, without having a visual experience. This can be very frightening for a child when they hear something speaking to them, but can’t see it. Though, most clairaudient experiences are usually a child’s spirit guides trying to communicate with them. Their guides are there to love, protect and instruct them along their path throughout their entire life. Children don’t always experience disembodied voices; they can psychically hear strong thoughts, or very intense conversations being had behind closed doors, or in other places. Depending on what frequency they are tapping into, or the atmosphere they are in. Clairalience (clear smell) is the ability to smell something on psychic level. Usually a child will smell something associated with a person from the past, or someone who will be making an appearance. This can be anything from a departed loved ones perfume, to their favorite cigar, or a food that is associated with them. Scents can come across through as a prediction. I have psychically smelled things that warned of coming events, involving disasters and situations with people. Again, listen to things you child might be saying, even if they sound peculiar. Some children will experience a scent when they are being visited by a grandparent in spirit, or a spirit guide or angel. This can be something very distinct like a certain type of flower, or something very favorable to them. Clairalience often comes prior to, or during other psychic experiences. Clairgustance (clear taste) is the ability to taste something psychically. This is one of the more rare occurrences, and is closely connected to Clairalience. 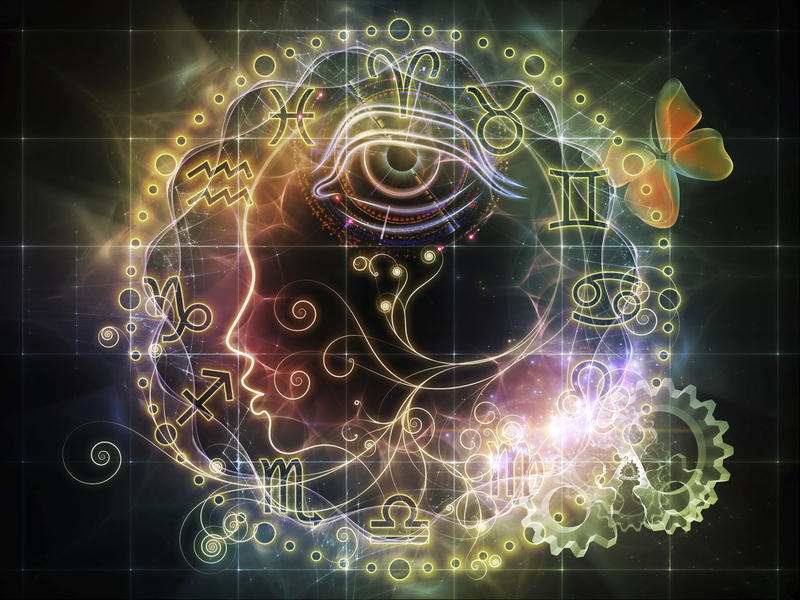 Clairgustance can be connected to any number of psychic experiences, but it usually accompanies a more prominent psychic sense. A child could taste anything from a favorite candy connected to grandma or grandpa, or something that may affect them at a later date… such as a meal that might upset their tummy. I find that most children experience Clairvoyance, Claircongnizance, and Clairsentience more often than the other psychic senses. Usually the other 3 senses will accompany one of the more prominent senses, helping to refine and add to the psychic encounter. Each child is unique. They may display only one of the senses, or a combination of all of them. Different encounters may trigger different senses. Being aware of all of the psychic receivers will help you to understand whatever your child may be going through better. Always LISTEN! Whatever your child is experiencing is very real to them. Listen to what they say, and take note of the details. Don’t try to lead them to any particular conclusion. Just let them share their experience. Never assume! The information a child is receiving can sometimes seem foreign to them, and may be fragmented depending on the source. Sometimes you have to let things play out to make sense. Be encouraging. If a particular psychic experience seems important to your child, and it doesn’t seem harmful, then encourage them to use their gift. As they connect to Spirit, you begin to connect. Keep your child safe. If you know your child has extreme psychic experiences be mindful of the settings you put them in. 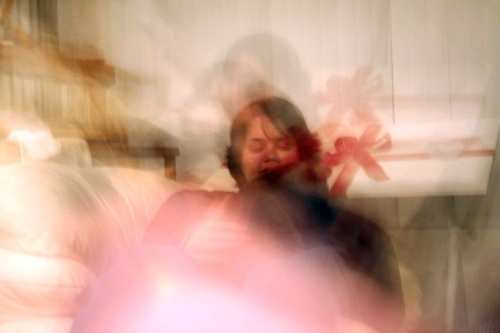 Extreme emotions or high-energy situations may trigger their senses in a negative way. Create a system. Give your child an easy way to signal that they are having an experience. If your child sees a particular entity, and it frightens him or her, they could cross their arms, or close their eyes. Some mannerism that signals that they are experiencing a psychic presence. Add a safety net to this. Maybe they have a special bear that they can hold when they feel psychically overstimulated. Now that you know the basics of the psychic centers, you can watch how they unfold I your child. Your sacred duty as a parent is to listen to your child, and help them learn to use their gift in the everyday, waking world! Shaheen Miro is an intuitive reader, energy worker, fashion designer, artist, writer and spiritual nomad. Shaheen coaches people to live more consciously through spiritual practices such as spiritual cleaning, protection, and intuitive development. To read Shaheen’s writing, or to learn more about a reading or visit his Blog. 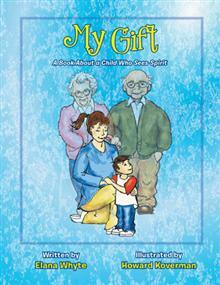 REVIEW: My Gift, A Book for Children Who See Spirit (Elana Whyte, author). Elana Whyte has written a loving story of a little boy who sees his late grandfather. He is just a regular little boy, but realizes he is able to see things that others might not. It addresses being scared sometimes, and knowing that it is alright to be scared. And explains in very easy to understand ideas about life after death, and how to be in control of their spirit gift. The artwork is done so beautifully, and shows what a “see-through” spirit would look like without being scary. This book is a wonderful addition to a child’s bookshelf, and helps parents to introduce a conversation that might otherwise be difficult for them. I recommend this sweet book as a teaching tool for parents, teachers, and relatives of children who have displayed knowledge or vision that is considered out of the ordinary. If you are a worried parent about your child, your child might be worried too. This will help all concerned in reaching an understanding. What a lovely and inspiring group of stories. Wendy Riley has compiled a very strong group of useful story lines to assist us all in overcoming negative situations and behaviors in life. If you can be motivated through outside ideas, then you can adapt yourself to resolve those challenges. Riley has a magical imagination, and has put together charming hypnotherapy stories of different scenarios that relate to everyday life, and developed it into a self-help book. Wendy has skillfully shared issues in a loving way that is very visual through her descriptions. This is a sweet and interesting book of support that can be shared with friends and family, besides using it for yourself. 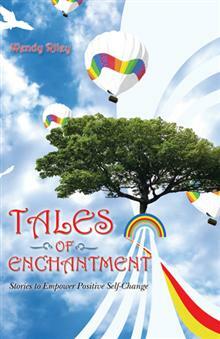 I highly recommend Tales of Enchantment: Stories to Empower Positive Self-Change by Wendy Riley for anyone wanting to resolve life issues like fear of flying, bolster self-confidence, overeating, or achieving your desires. Do you have questions on how to raise your psychic child? Is your empathic daughter overloading with emotions? Does your son have precognitive dreams? Do you wish you had a source to help you figure this all out? What do Sparkles (and Orbs, and Spirit Lights) Look Like? Does this sound great? We think so. I am so excited to have Shaheen as a guest on my blog every other month to share his mystical information. And I will be guesting on his blog on the alternate months. So we have about a full year of information, with exercises, meditations, research, and techniques that will help you in understanding your child’s experiences, and help them explore and develop their abilities. Don’t forget! The first Guest Post by Shaheen Miro will right here on my blog! Thursday, September 25, 2014. Shaheen and I are happy to share our knowledge and research with you. And want to support our new generation as they grow up to assist our world as it expands. Be sure to sign up for the Email Subscription notices as we post our blogs (check the side bar). That way, you won’t miss a thing! Psychic Mind or Physical Brain? Your mind is activated by the energy of spirit. That, in turn energizes the brain. The only reason you retain memory is this: your brain is activated to be the vehicle of the mind. When my physical body dies, Melissa’s brain can’t recall any information. But the spirit of Melissa has every bit of information she experienced, sent during her life through the link between her brain and her mind. That is the main reason intuitives and mediums can contact spiritual information. It is now in the Universal Mind. Many believe mediums talk only to the dead. Well, a medium is a connection between the physical and the spirit, also known as the “go-between”. Yes, mediums do contact the spirits of people who have died, but they also can contact the spirit of someone still living. It’s the energy field or aura of the spirit around the physical body that is tapped. This is an excerpt from Psychic Integrity, The Respected Practice of Modern Day Mystics. Why Do People Believe in Ghosts? Repost. Do you believe in Ghosts? Do you know what a Spirit is? There is so much confusion and misunderstanding between the two things. I find this article posted on The Atlantic Website very interesting. The author, Tiffanie Wen, shares why she thinks people believe in ghosts and how we see something as being para-normal. And even though she ponders the idea of ghosts exclusively, there really is no mention of Spirits. Now, after you have read that post, check out my workshop video that explains the difference between ghosts and Spirits. (Hint: Ghosts are still Earthbound, and Spirits have transcended into the full Spirit World, leaving the Earth experience behind.) Also explored is why Ghosts stay Earthbound. Yes, there are many reasons! This workshop covers a wide range of information about ghosts and spirits, and understanding what the difference is between them. Spirits are loved ones or other former human beings who have lived on the earth. They are now in the spirit world and have gone through the entire process of transformation. A ghost is a lost spirit that has not fully embraced the transformation into the spirit world. It remains attached to earthly things or people in an attempt to re-assimilate. Understanding the Death Process, and the shifting place between “earthbound” and “in-spirit”. Discussion on clean spirit – unclean spirit, as related in the Bible. Hauntings: What can you do? What is a residual haunting? Is there a moral obligation to clearing spirit energies from a haunted place?